Add The latest HPE 2650 Watt Platinum hot plug power supply kit provide highly efficient and flexible power options specifically designed for HPE Blade Enclosures. 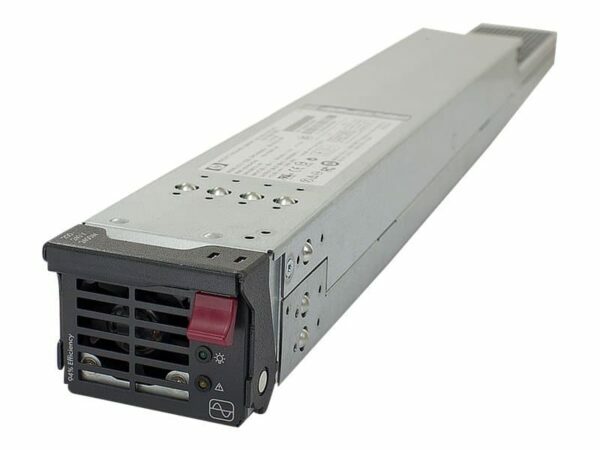 HPE 2650 Watt Platinum hot plug power supply kit lowers power requirements and decrease data centre operating costs. HPE 2650 Watt Platinum hot plug power supply kit delivers ultimate flexibility with multiple options for AC and DC power input voltages. HPE 2650 Watt Platinum hot plug power supply kit Supports hot plug installation and removal providing fast, tool-less access to your HPE Performance Power Supplies. Allows users to automatically map the power topology inside their racks, speeding implementation time and greatly reducing the risk of human errors that can cause power outages. Qty 1, HPE Platinum hot plug power supply kit with 2650 Watt.